At the end of the year, I visited Indianapolis to see relatives. 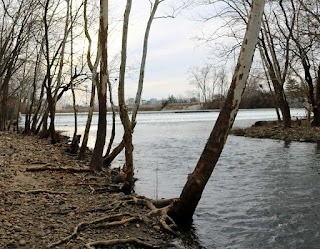 They live near the White River. When visiting, I try to walk there to see the shells of fresh water creatures. 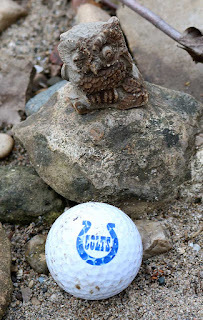 I have not seen fossils before there but this time I found 3 on the river bank. 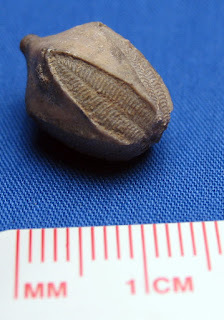 The first is a small pebble with part of a brachiopod fossil embedded in it. The second was a nice plate of Fenestella like bryozoan fossils. 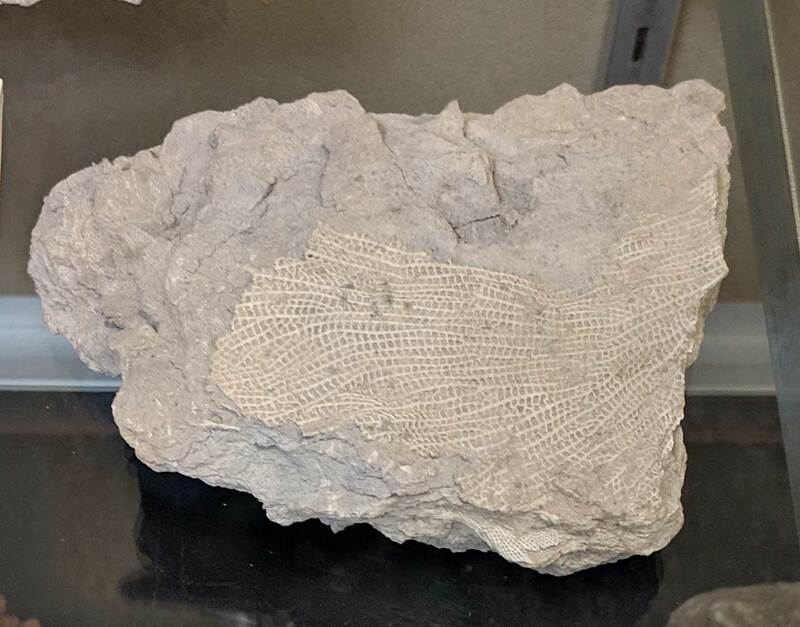 I dropped it later and broke in half revealing layers of bryozoans. 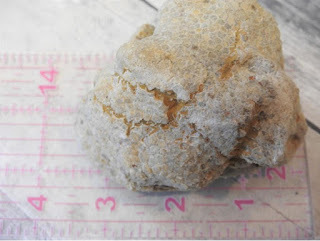 The last was a section of a small horn coral fossil that reminded me of a Heliophyllum. Interesting the horn coral and bryozoan did not show signs of being in the water that long. 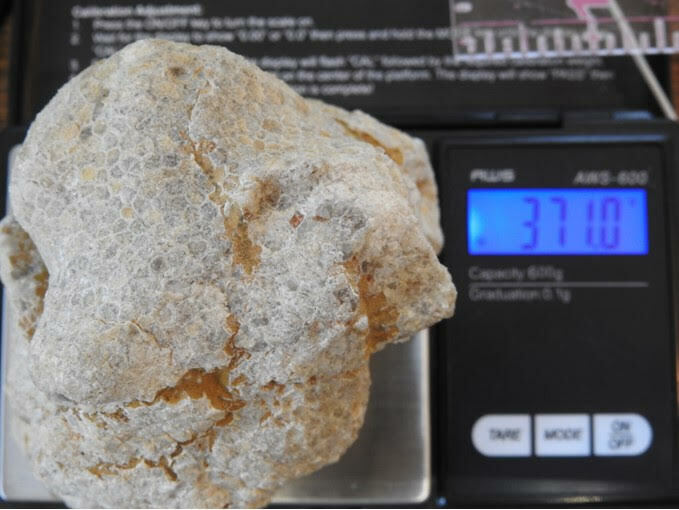 Usually river rock with get very rounded from tumbling in the river bed and just having water running over it. So these must have been buried or dropped in off a bank somewhere upstream. I also pick up trash to throw away but sometimes find items like this that can be re-used. 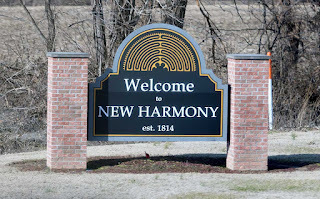 For a long while I have wanted to visit New Harmony, Indiana USA. On my list of things to see is a weather vane on top of a building built for Indiana's first state geologist David Dale Owen. As the it was the last of his buildings completed in lifetime (1860 year of his death). On top of a room with a conical roof is a unique weather vane(?) 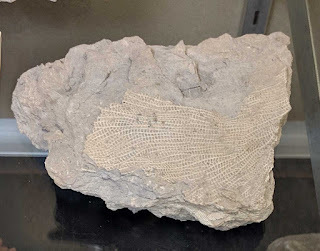 that consists of replicas of three fossils: a fish, bryozoan, and blastoid. Owen had a great idea with this weather vane. The fossil selection reflects his, Charles-Alexandre Lesueur and Thomas Say's contributions to paleontology. 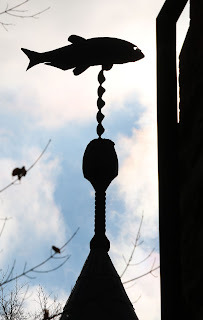 When I came across images of this in books or on-line I was always intrigued by its symbolism. 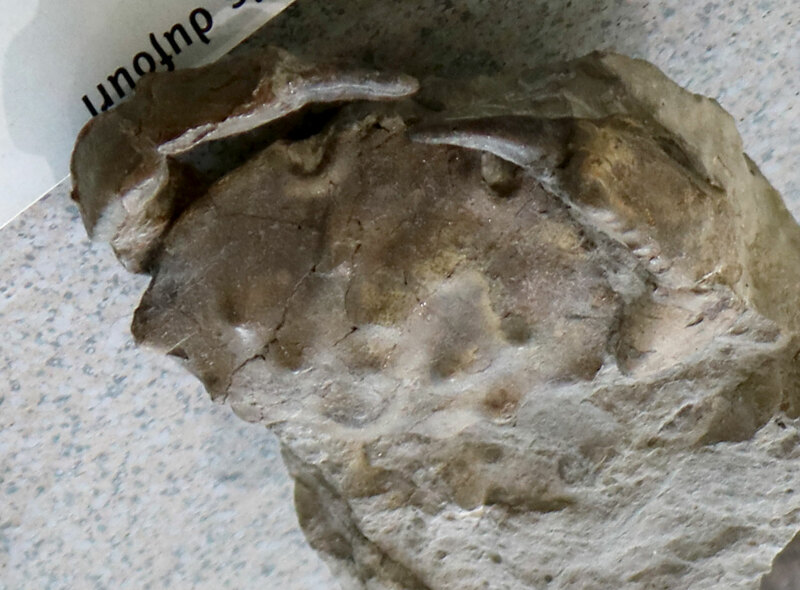 The bottom fossil is the re-creation of a stem section and Pentremite blastoid fossil. 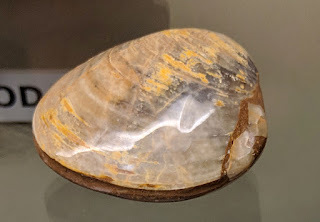 The Pentremite was name by Thomas Say in November 1820 (Observations on some Species of Zoophytes, Shells, &c., principally Fossil The American Journal of Science and Arts, VOL. II, No. 2, pages 34–45). See scan of this entire journal on Google Books. 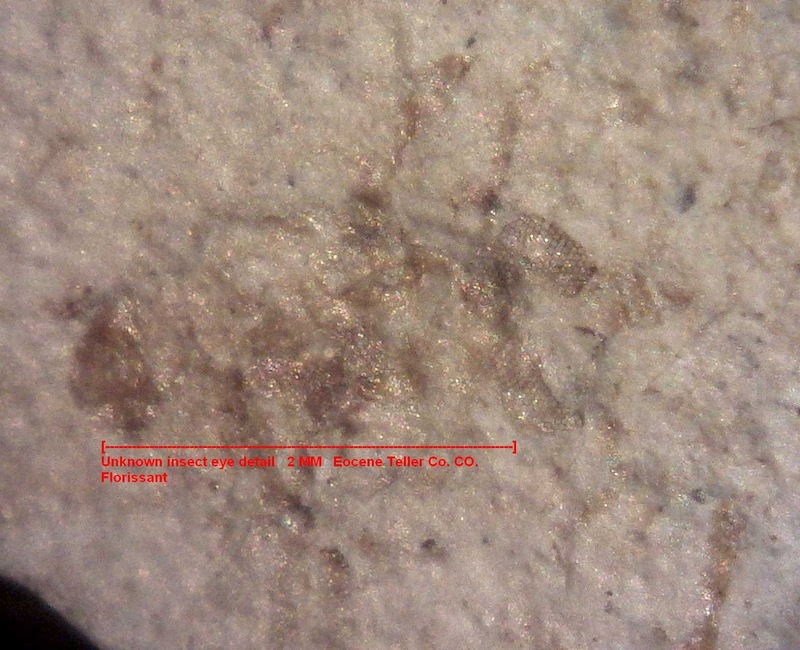 "In the bed of Oil creek, then, on the road from Troy to Fredonia, the coal sandstone may be found resting on a reddish stratum of a somewhat arenaceous limestone, the uppermost member of this sub-carboniferous group, and characterized by a fossil, described by Lesueur under the name of Archimides, on account of its screw-like form. " 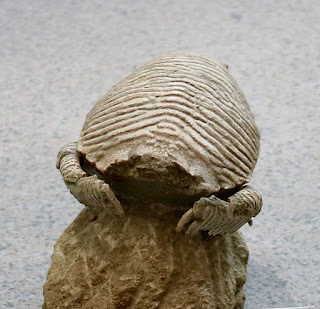 It is interesting that Charles-Alexandre Lesueur named this fossil as it reminded him of a screw Archimedes of Syracuse (287-212 BC) is credited with creating. Lesueur was a resident of New Harmony from 1826-1837, before moving back to France. Learn more about this at University of Evansville's Clark Kimberling web page on this subject. The fish at the top is what caused me quite a bit of research and puzzlement as to what it is. I speculate that it might be Owen's interpretation of Macropetalichthys rapheidolabis. 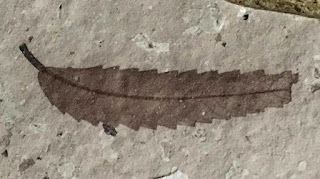 He and Joseph Granville Norwood described a fossil they found in the American Journal of Science in an 1846 article, Description of a New Fossil Fish from the Paleozoic Rocks of Indiana. I have not found a rendering of what this fish looks like. The roof of the skull of the fish is at the Smithsonian catalog number USNM PAL 265273. They also have another 24 specimens of this genus listed in their database. The database for the American Museum of Natural History shows 37 specimens in that collection. 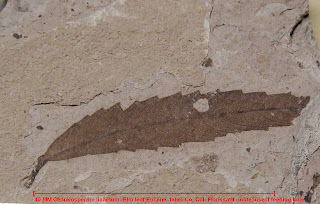 The problem is that is a Devonian Period armored fish in either the Order of Petalichthyids or Arthrodires. 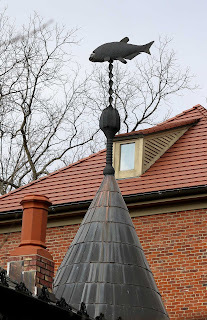 Neither those types of fish look at all like what is on the weather vane. Of course in the mid-1800s I am not sure were enough specimens collected to know that the creature looked like. 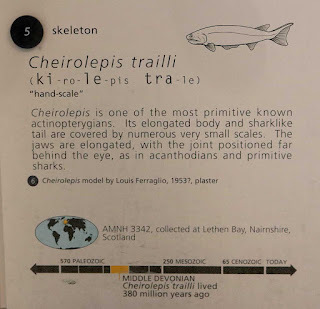 So what if the fish is the Devonian Period Cheirolepis trailli named in 1835 by Agassiz. This fossil was found in Scotland where Owen was born in 1807 and migrated from in 1827 [side note]. Owen and Agassiz both associated with paleobotanist Leo Lesquereux who worked with Agassiz in the 1840s on European peat bogs and Owen in the 1850s-1860s on fossil plants found in coal deposits. So they could have known of each other's work through him. Louis Agassiz (1807-1873) was also familiar with Lesueur from New Harmony as they were both fish experts. 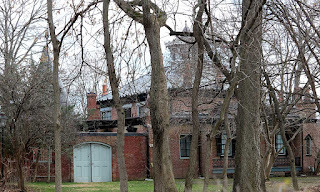 So it could be assumed that Owen was familiar with his work through that connection or that Agassiz knew of the geological work going on at New Harmony. In addition, Agassiz moved to the United States in 1846 so they were at least in the same country and possibly in the same academic circles. During this Christmas break, my father and I visited New Harmony, Indiana. 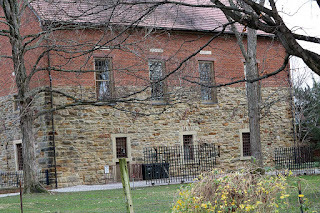 It was a center for Indiana geology in the early 1800s. 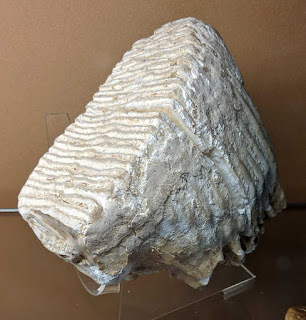 If you visit, I would suggest first visiting the Anthenem Visitor Center and look at their fossil display on the 2nd level. They have some quite nice fossils and plates from David Dale Owen's reports from the 1800s. First a little history, the settlement was founded in 1814 by George Rapp (1757-1847) and his religious followers. 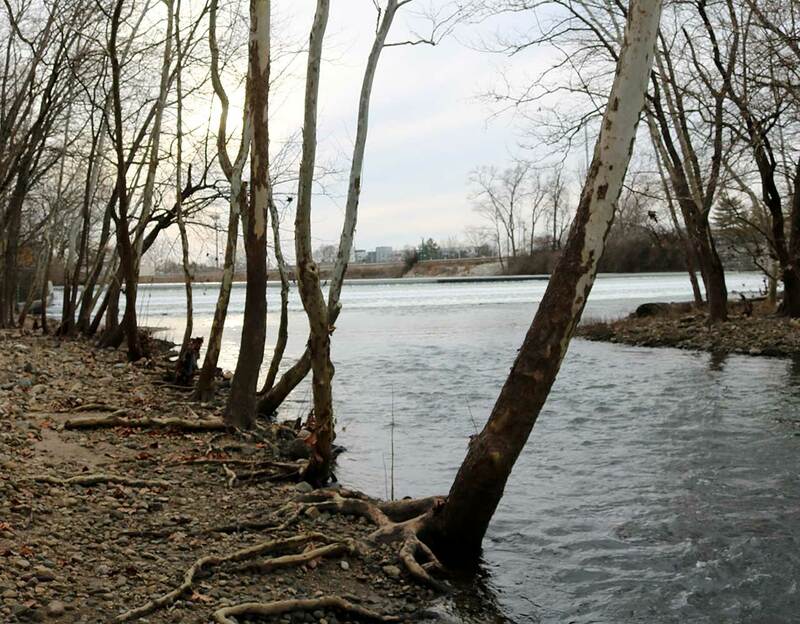 After leaving Germany in 1804 and creating an earlier town called Harmonie in Pennsylvania, they sold it to Mennonites and used the proceeds to build Harmony, Indiana on the Wabash River. Once they built this town up, it was sold to Robert Owen for his Utopian experiment. They used the money from this transaction to create one last town called Economy, Pennsylvania (near Pittsburgh). 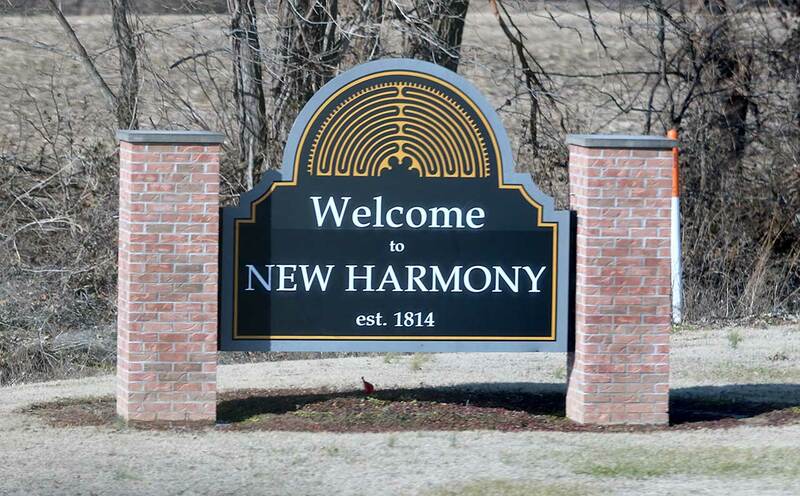 They were known as the Harmony Society and one can learn more of their fascinating history on Wikipedia. Robert Owen (1771-1858) was an industrialist from Britain that wanted to create a secular communitarian settlement in America. He enlisted the help of William Maclure (1763-1840) . They ended up failing for a lot of reasons which can be read about on Wikipedia. It did attract and produce a number of geologists for the midwestern United States. William Maclure considered the 'father of American geology' by publishing the first geological map of the country. David Dale Owen (1807-1860) first state geologist for Kentucky, Arkansas, and Indiana. Gerard Troost first state geologist for Tennessee and professor at College of Nashville. Thomas Say (1787-1834) a well published naturalist, he named the genus Pentremites of blastoid fossils. Charles-Alexandre Lesueur (1778-1860), was a naturalist and artist who worked with Thomas Say. 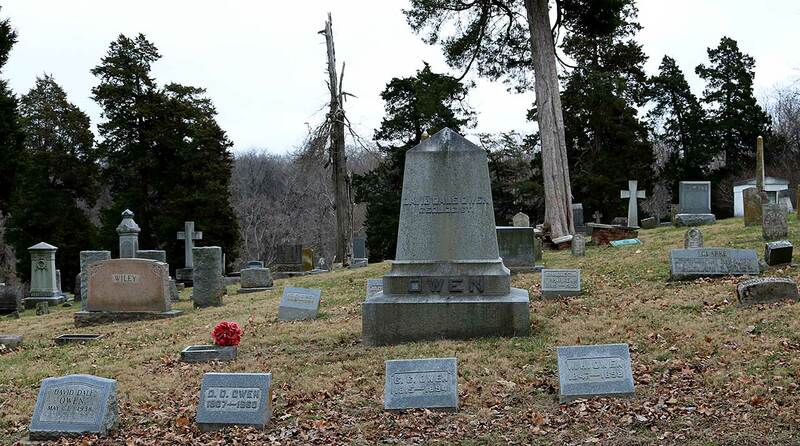 Richard Owen (1810-1890) was the second Indiana state geologist and first president of Purdue University. We visited a number of other sites while there. 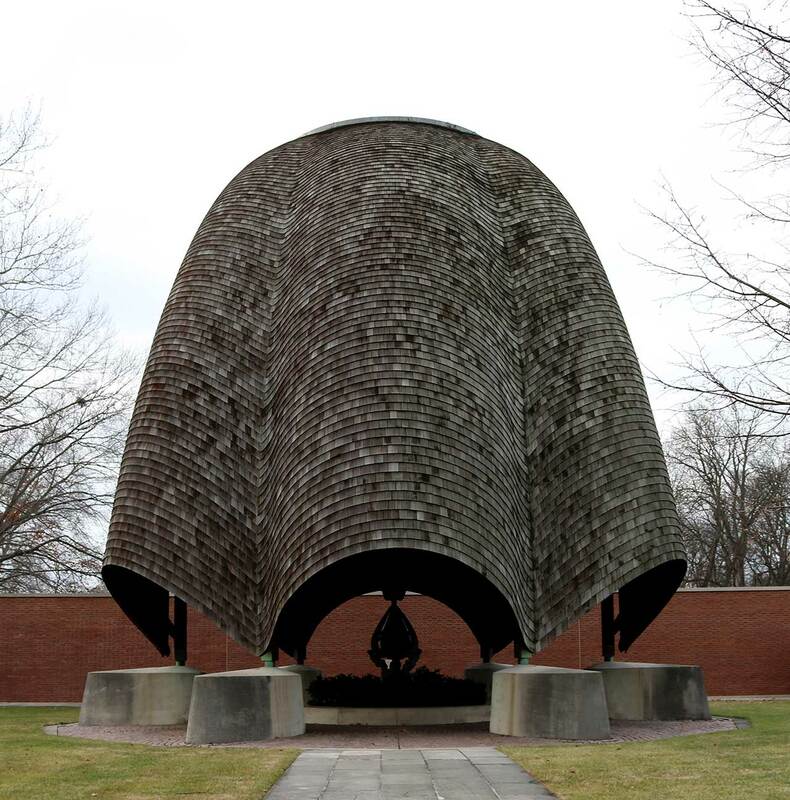 A more modern structure is an open air church that is quite unique. There is also a maze not far away that has religious meaning. 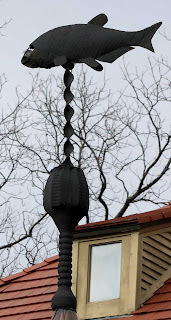 Its pattern can be seen on buildings and items around town. 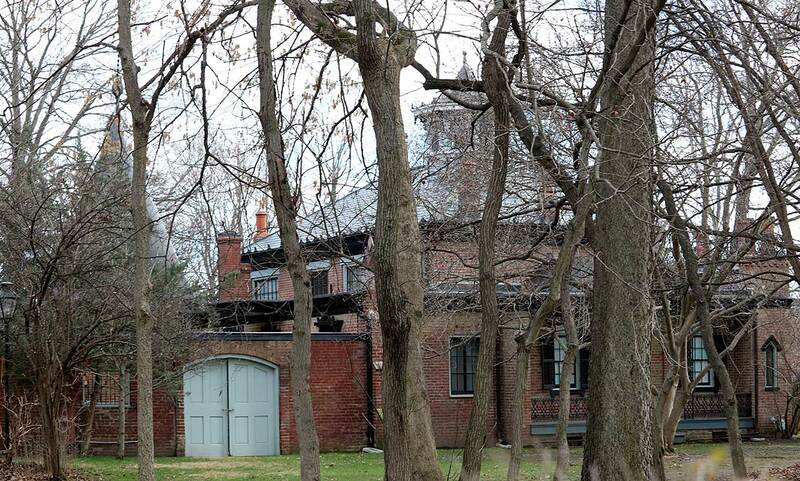 David Dale Owen's 4th geological laboratory that is now a private residence. It is hard to get a good picture of it due to it is surrounded by walls and trees. 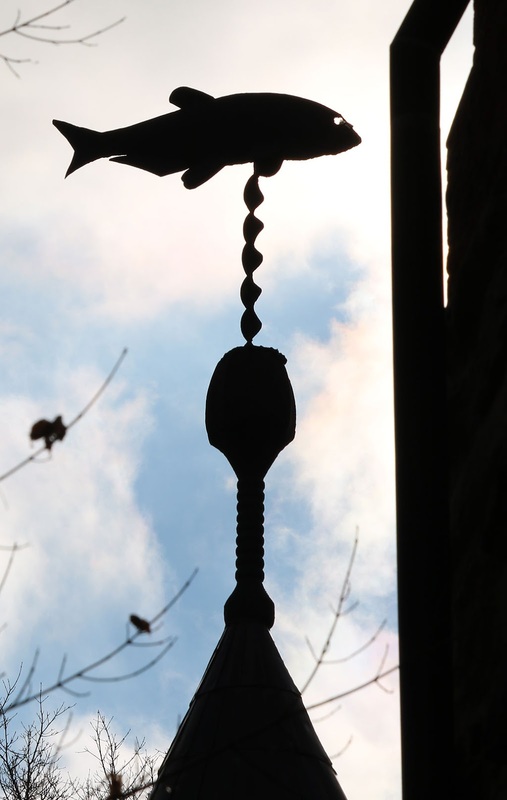 I hope to have a later blog post about its weather vane. In the yard next to this house, is Thomas Says burial mound. The building is also next to the Rapp Granary built in 1818, which later became another Owen geological laboratory. 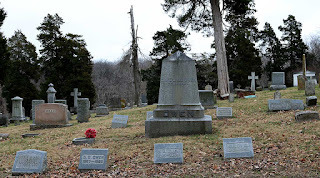 David Dale Owen and his brother Roberts graves are located on the edge of town in Maple Hill Cemetery. The main stone is the center just has his name and under it the word GEOLOGIST. The last building is the Working Men's Institute. The institution was created by Robert Maclure to allow common people to get knowledge. 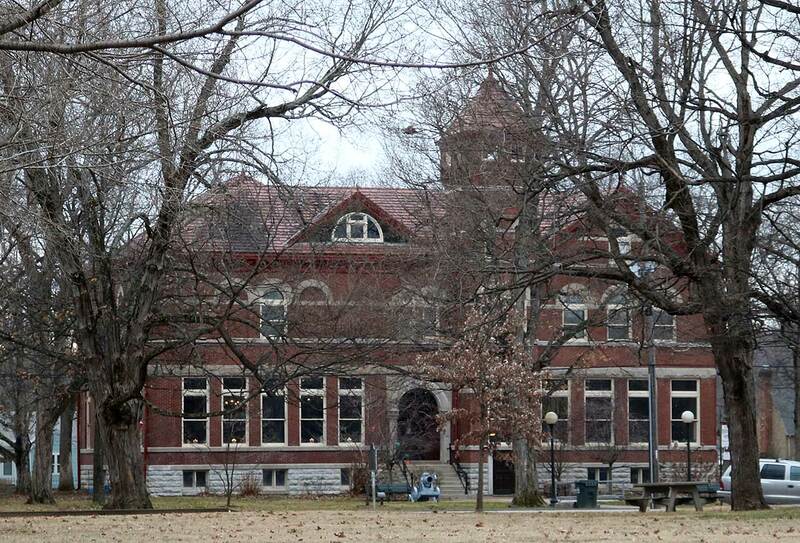 The building housed a library and museum. We ran out of time to visit but they have geological displays showing fossils and minerals. Here is a video link to a 10 minute video that describes the Institute. This image is of a Zanthopsis dufouri crab fossil on display at Mace Brown Museum of Natural History (August 2017). It dates to the Eocene Epoch (about 50 million years ago), Paleogene Period. 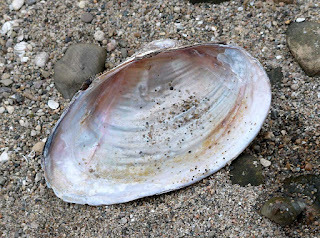 The fossil was found in Spain. 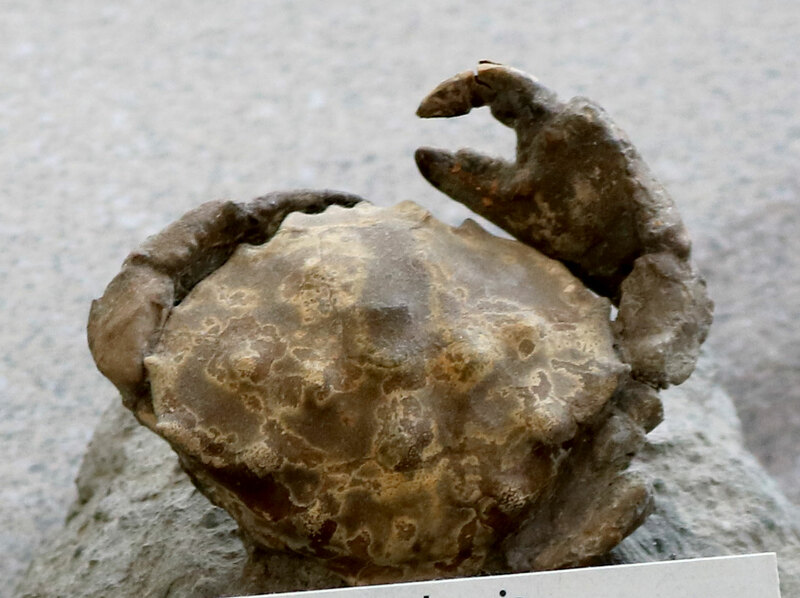 This image is of a Zanthopsis vulgarsis coral crab fossil on display at Mace Brown Museum of Natural History (August 2017). It dates to the Eocene Epoch (about 50 million years ago), Paleogene Period. 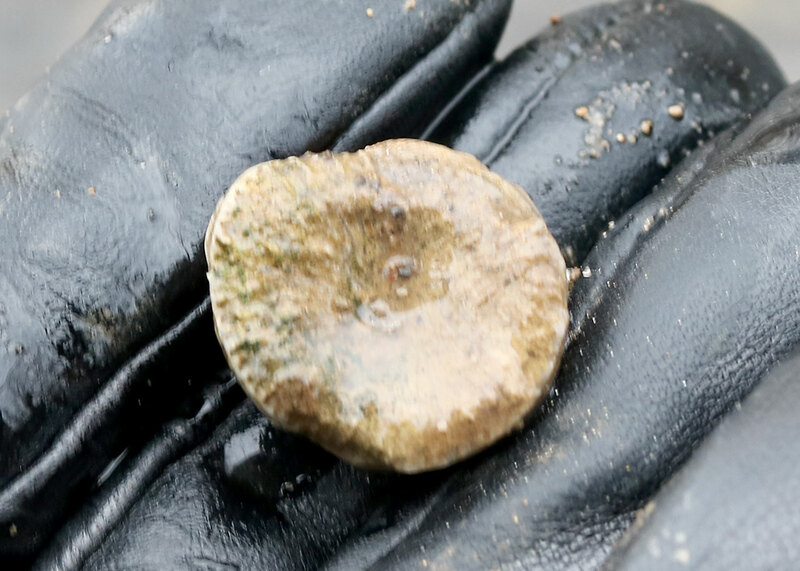 The fossil was found in Spain. This image is of a Harpactoxanthopsis quadrilobata crab fossil on display at Mace Brown Museum of Natural History (August 2017). It dates to the Eocene Epoch (about 50 million years ago), Paleogene Period. 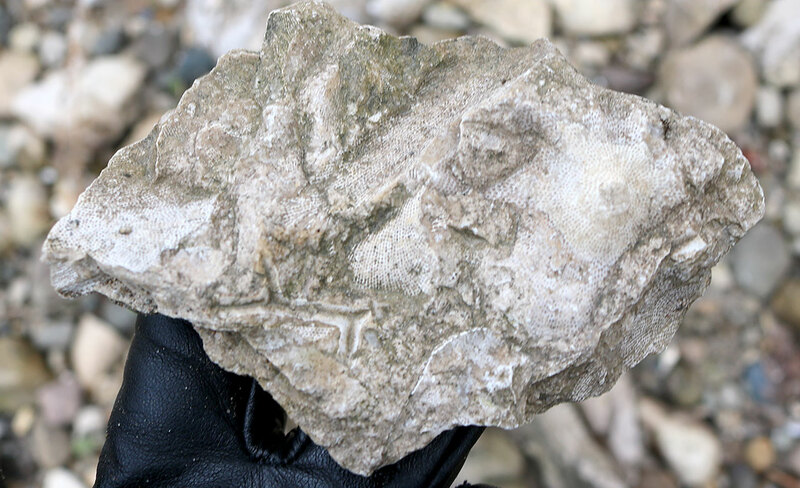 The fossil was found in Monte Baldo, Italy. This image is of a Lophoranina marestiana coral crab fossil on display at Mace Brown Museum of Natural History (August 2017). It dates to the Eocene Epoch (about 50 million years ago), Paleogene Period. 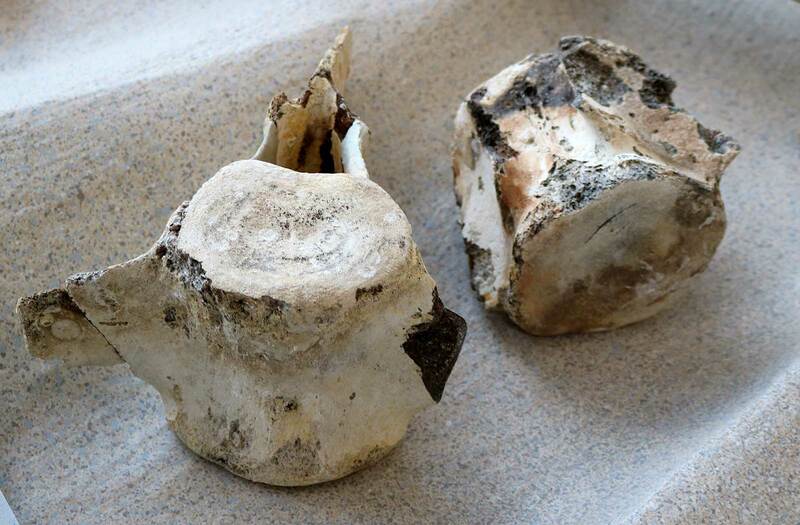 The fossil was found in Vicenza, Italy. 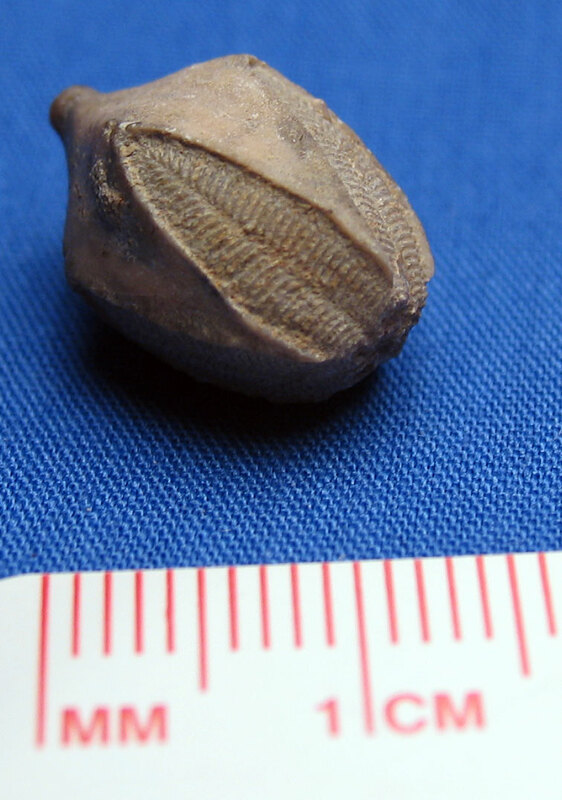 These plant fossils were found in the Florissant Formation of Teller County, Colorado, USA. They date to the Eocene Epoch of the Paleogene Period. The fossils are thought to be Cedrelospermum linaetum (Elm leaves). Note one with a hole showing something was feeding on it. Thanks to Kenny for the images. 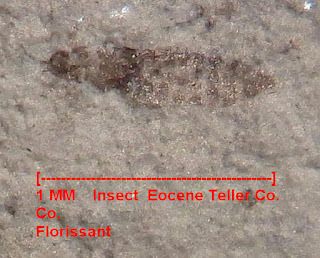 These unidentified insect fossils were found in the Florissant Formation of Teller County, Colorado, USA. 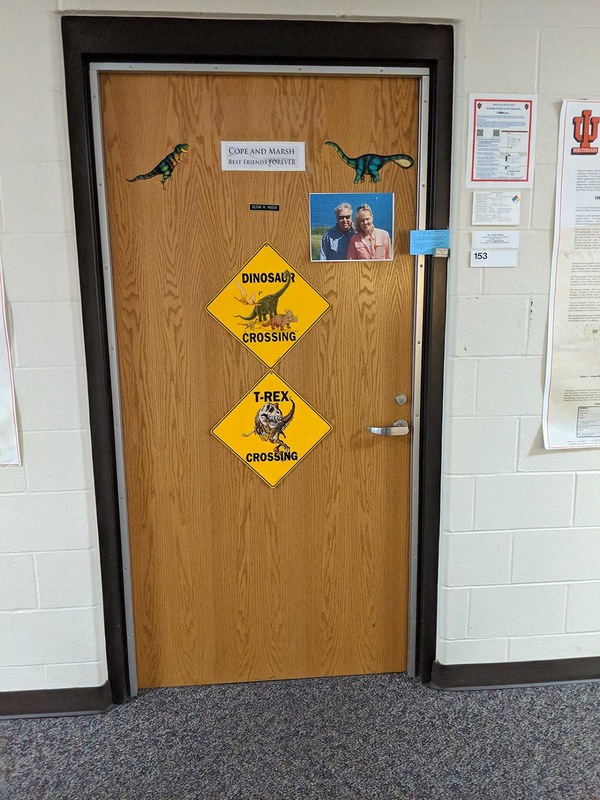 They date to the Eocene Epoch of the Paleogene Period. Thanks to Kenny for the images. 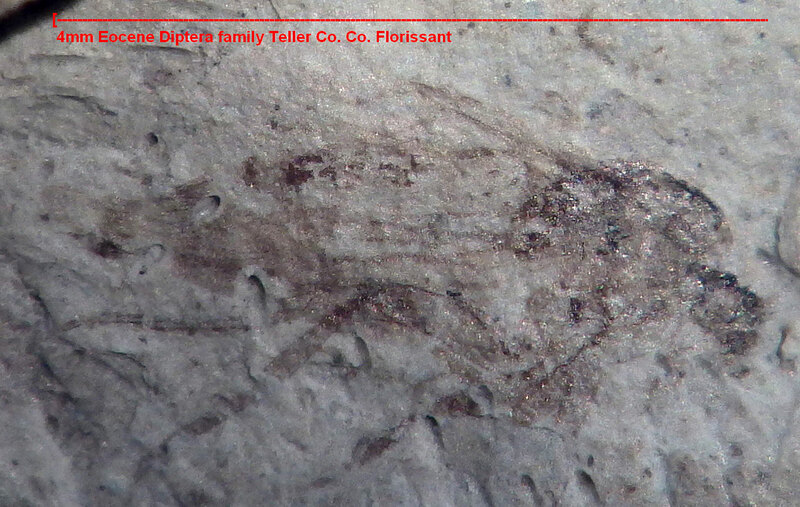 This insect fossil was found in the Florissant Formation of Teller County, Colorado, USA. The fossil is thought to be from the Diptera Family. It dates to the Eocene Epoch of the Paleogene Period. Thanks to Kenny for the image. 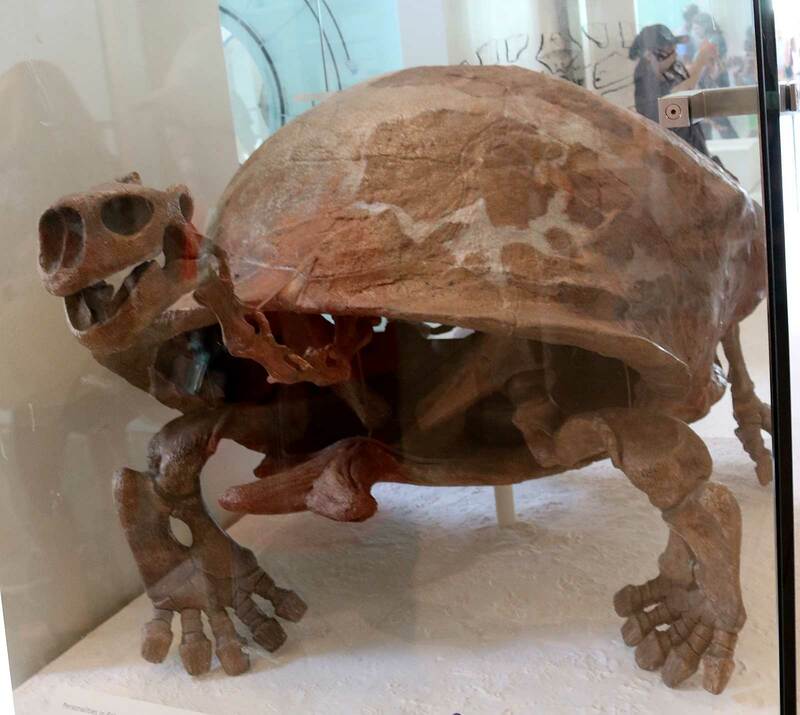 Geochelone atlas tortoise fossil ("land turtle") displayed at the American Museum of Natural History in New York City, USA. 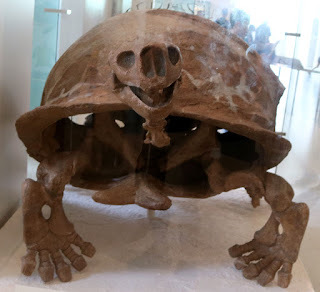 It was found in 1922 west of Chandigarh, India by B Brown. 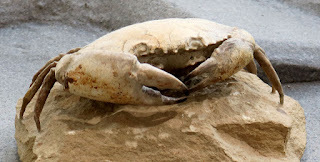 The fossil dates to the Late Pliocene Epoch (2 million years ago). 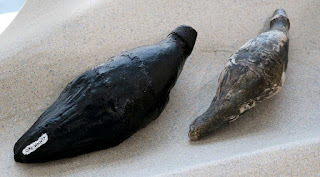 These images are of an odontocete whale-like fossils(?) on display at Mace Brown Museum of Natural History (August 2017). It dates to the Oligocene Epoch (about 28-26 million years ago), Paleogene Period. 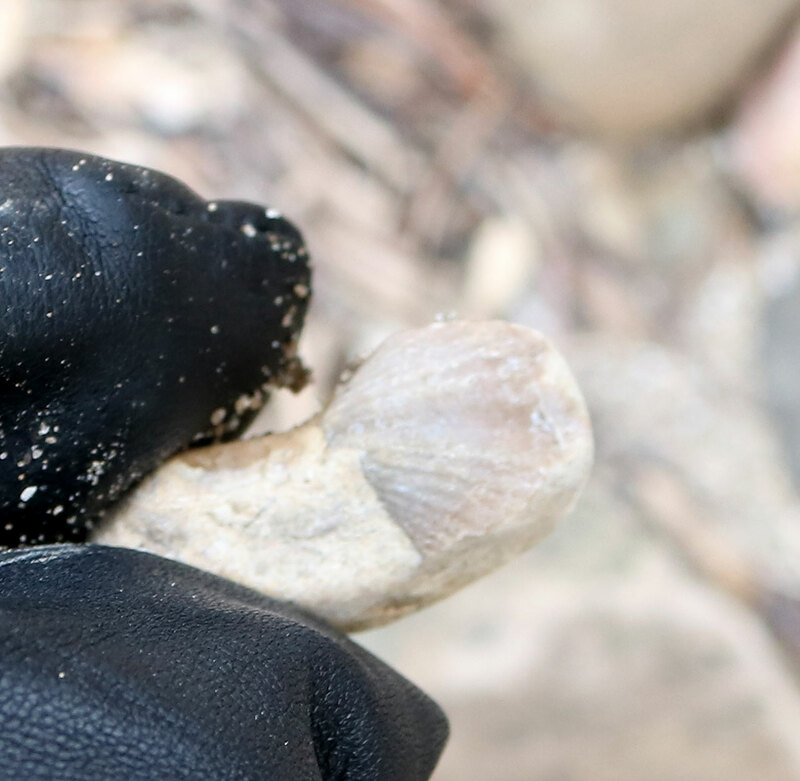 This image is of a waipatiid cetacean whale-like fossil(?) 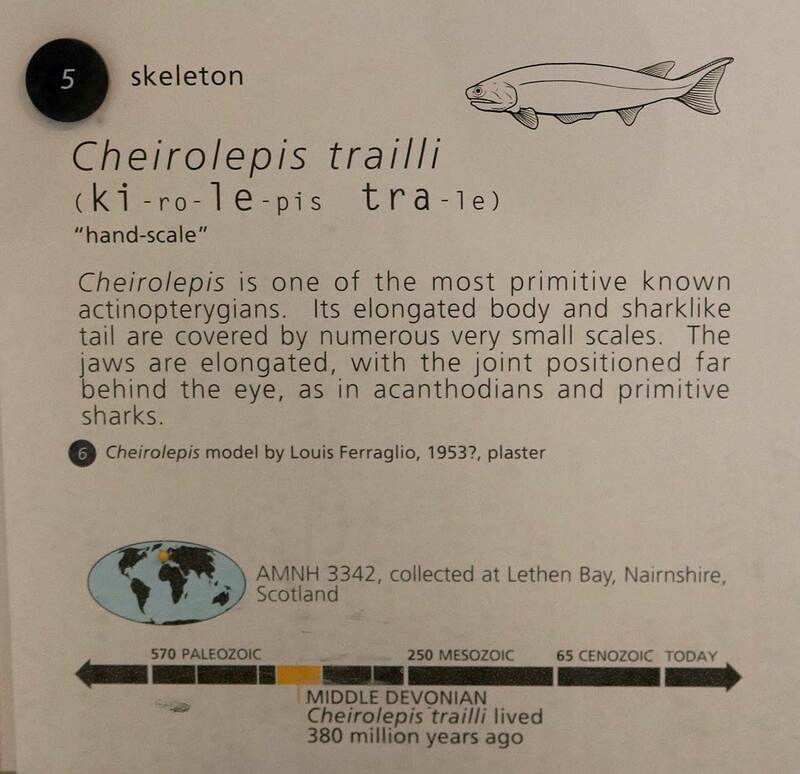 on display at Mace Brown Museum of Natural History (August 2017). It dates to the Oligocene Epoch (about 28-26 million years ago), Paleogene Period. The images below are of an unnamed Odontocete whale fossil. 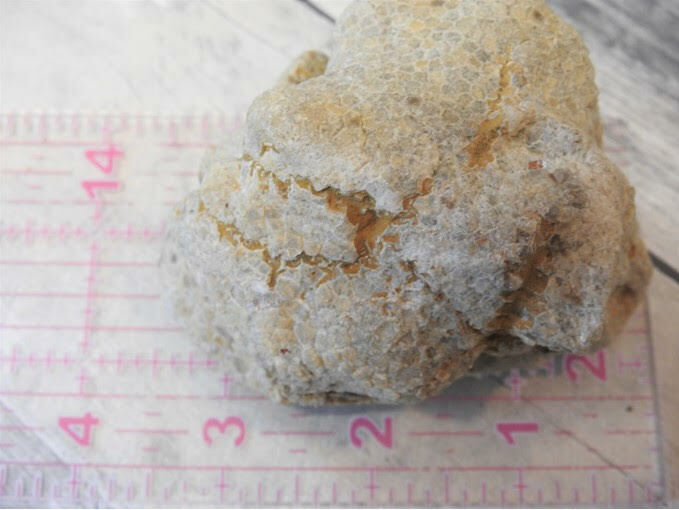 It was found in Chandler Bridge Formation, Village Green Subdivision, Berkeley County, South Carolina, USA. 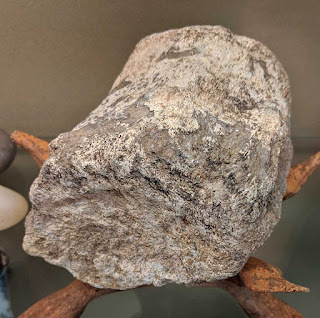 This image is of a sauropod dinosaur tail vertebrae. The fossil was found in Pryor Mountains, Montana, USA. It was on display at the Indiana University Southeast (IUS) campus, first floor of Sciences Building as part of Glenn M. Mason collection. Image taken November 2018. This fossil tooth is thought to be a Mammuthus primigenius. It was found in Scott County, Indiana. 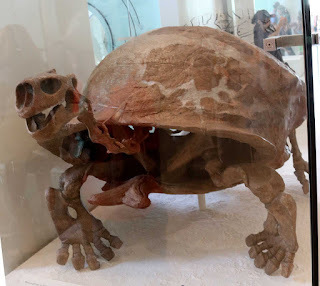 The creature existed in the Pleistocene Epoch. 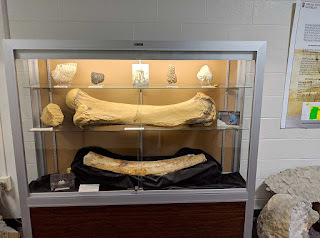 The tooth is on display at the geology department at Indiana University Southeast (IUS) of New Albany, Indiana as of November 2018. A reader recently sent me some images of a colonial coral they found while digging in their yard. 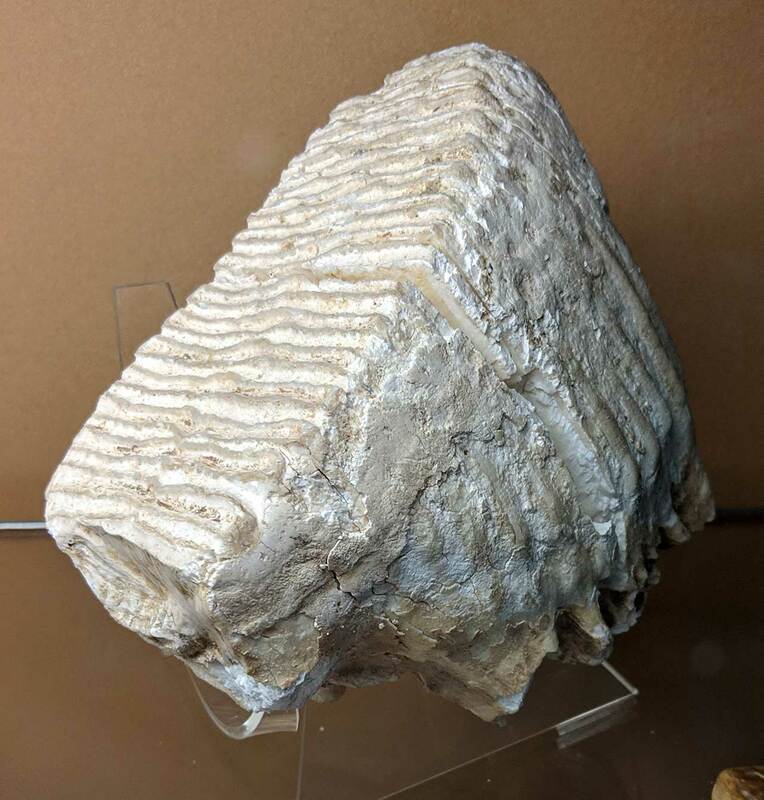 It is a Foerstephyllum coral fossil. It dates to the Ordovician Period and was found in Jefferson County, Kentucky USA. campus, first floor of Sciences Building as part of Glenn M. Mason collection. Image taken November 2018. 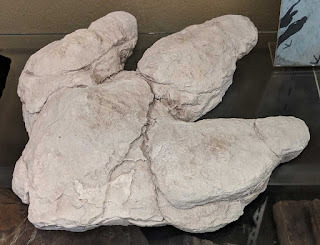 This image is of an iguanodontid dinosaur track cast dated Cretaceous Period (100 million years ago). The track was found in Dinosaur Ridge, Colorado, USA. It was on display at the Indiana University Southeast (IUS) campus, first floor of Sciences Building as part of Glenn M. Mason collection. Image taken November 2018. 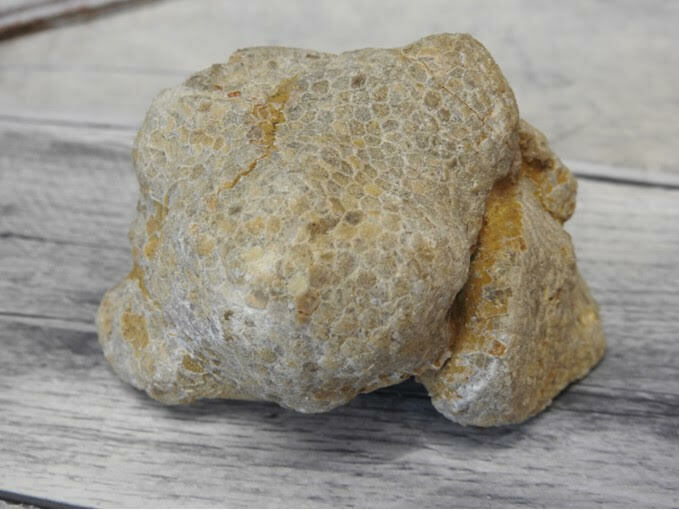 This image is of polypora (bryozoan) fossil dated between Ordovician to Permian Periods (505-245 million years ago). 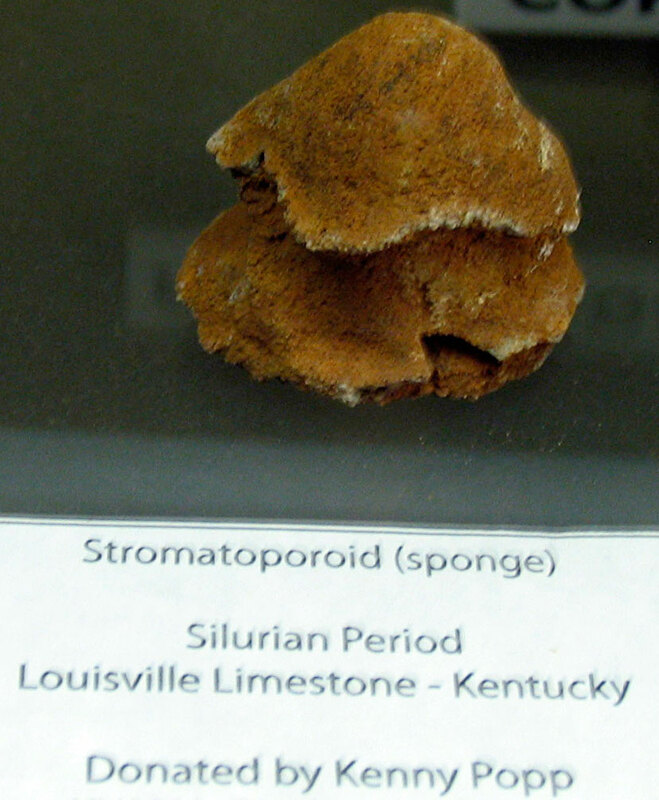 It was on display at the Indiana University Southeast (IUS) campus, first floor of Sciences Building. Image taken November 2018. Earlier last month (November 7, 2018), Dr. Glenn Mason passed away. 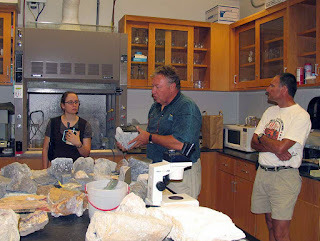 He was a long time geoscience professor at Indiana University Southeast (IUS) New Albany, Indiana, USA. In 2009, I met Dr. Mason while taking classes at the school. 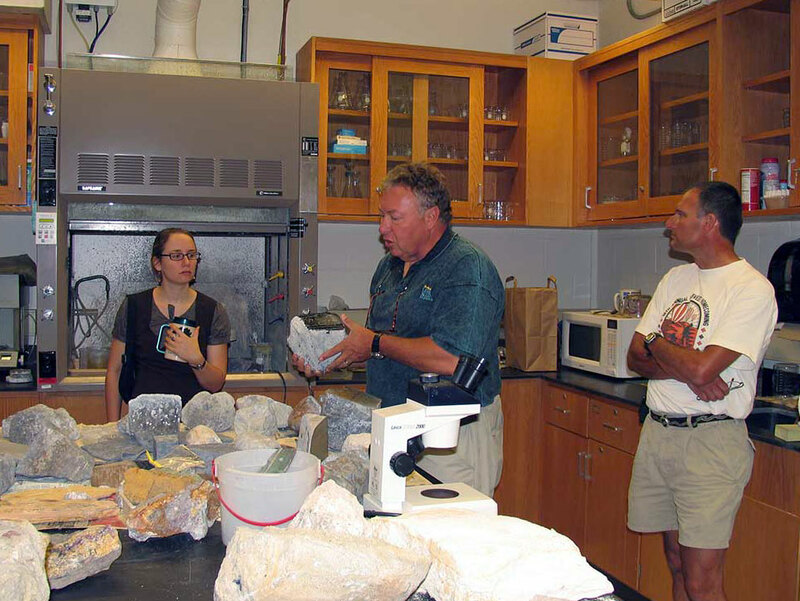 On a Saturday in July of that year, he was kind enough to give me and a small group of geology enthusiasts a tour of the Geosciences department at IUS. 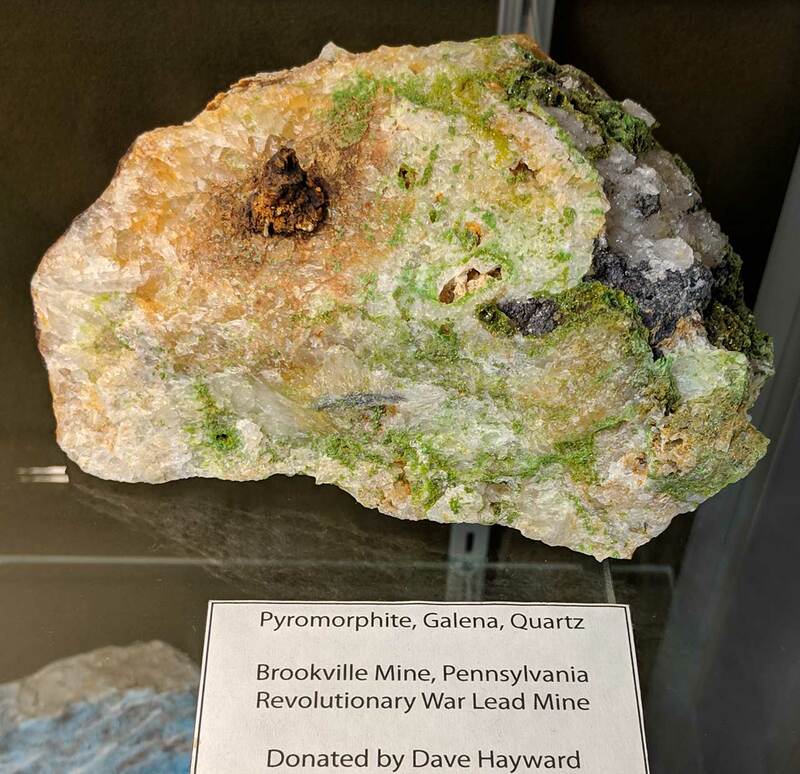 Glenn was especially proud of the display cabinets in the hallway outside his office that had a number of minerals, rocks, and fossils. 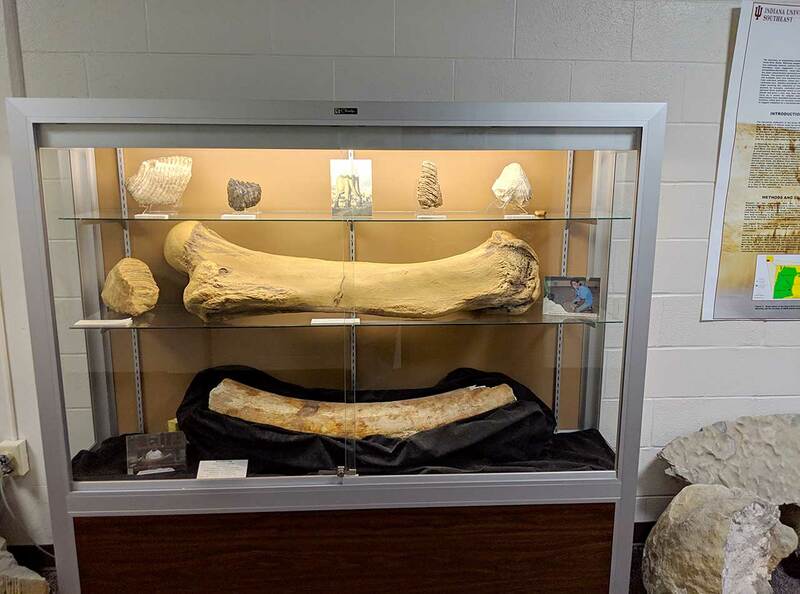 Hopefully, IUS will retain these displays as a memory to Dr. Mason and his contributions to geological science and the local community. Later some us were able to donate some specimens for these cabinets. 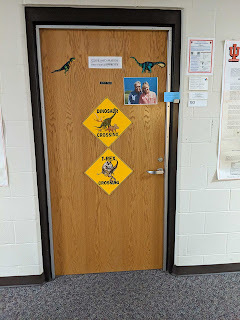 Dr. Mason's office door decorated with dinosaur imagery which was a popular class he taught at the school.